At some point, all appliances need maintenance. But the fridge or washing machine might break down out of the blue. In either case, you can count on our appliances service in Westminster, California. 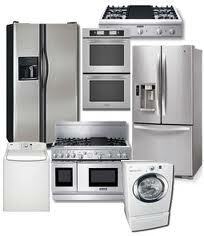 We service, repair, and install most home appliances. Do you need help with some kitchen appliances? Want to service your washer & dryer? Our team at Appliance Repair Westminster is at your disposal. Whether you need electric or gas home appliance service, call us. Our local pros are experts in all types of appliances. To ensure the job is performed and completed efficiently the first time, we bring with us the replacement parts and tools we’ll need for the job. We service all types of washing machines and dryers, but also comb units. If you are in need of a specialized kitchen appliance service technician, we are still the company to call. Our pros have expert skills and can fix side-by-side, French-door, top & bottom mount fridges and their freezers. Need to service the oven, microwave, or stove? Do you have trouble with the dishwasher or range? Leave any kitchen appliance service to us. With a plethora of appliance repair parts and years of experience, our pros provide high quality service. As a professional company, we respond urgently when one of your appliances is overflowing or there is gas leak. As a rule of thumb, we do our best to help clients in Westminster, CA, as soon as we can. Give us a call if you are looking for a local appliance technician to maintain your units. Not only do we fix sudden appliance problems but also service your kitchen and laundry units to ensure their longevity and excellent performance. What’s also accomplished with regular service is energy saving. Why use appliances, which often leak or waste energy? Call us to cover your appliances service Westminster needs today. Turn to our Westminster appliances service team if you want to install a new oven, washer, or other unit. With correct appliance installation, you are sure of their good operation. We are qualified fully to do any job. Whether you need preventive service or fast repairs, contact us and expect professional work.